Hey all! 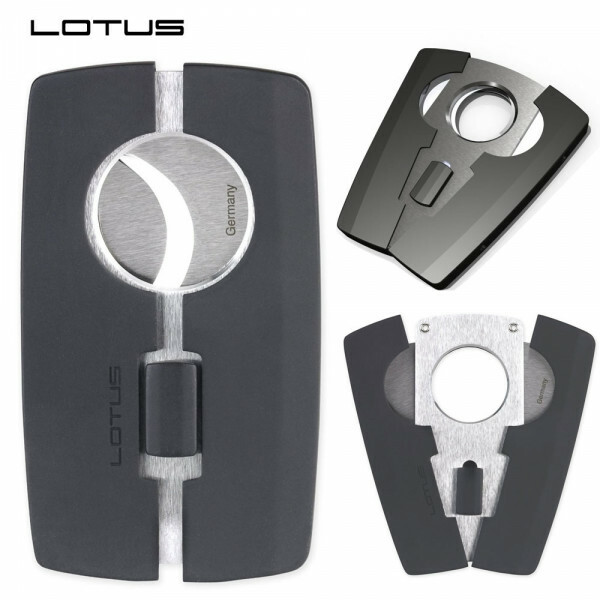 Thought this was a pretty cool looking cutter for ~20 bucks...plus Lotus generally has a great quality product. Description from the site: Rubberized Black. This incredibly attractive cutter makes quick work of your cigars. Tempered German steel construction provides durability. Sharp, locking, retractable stainless steel blades provide the perfect cut. Supports up to a 58-ring.